Marathon Coach invites you to join us in celebrating the beauty of Petoskey, Hearthside Grove and the motorcoaching lifestyle on Sept. 9 from 4-7 p.m. Partygoers can expect a fun-filled evening of delicious BBQ, fun libations, live music and great company. Marathon Show Coach #1234, a 2016 double slide X3-45 valued at over $2 million, will be on site for attendees to tour not only at the party, but for Marathon’s entire visit spanning Sept. 8 through Sept. 11. 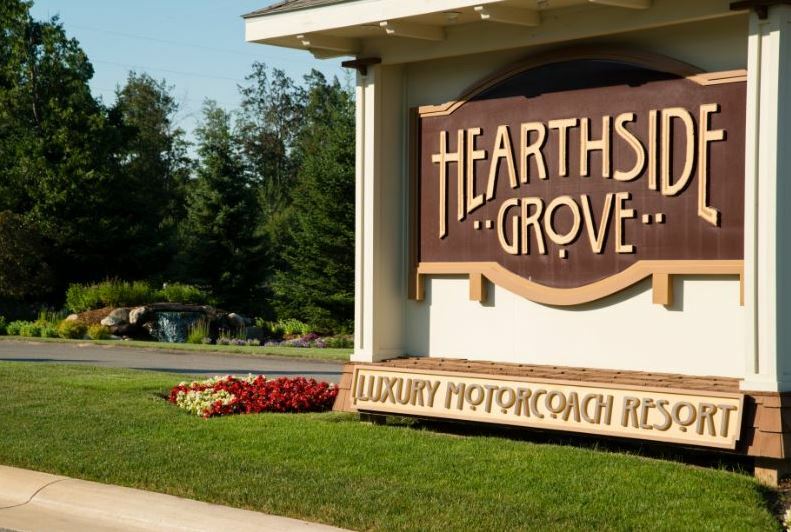 The Hearthside Grove Luxury M otorcoach Resort is located in the lakeside community of Petoskey, “nestled” along Little Traverse Bay. Known for its great shopping and Victorian architecture, this charming town is a great place to museum hop, gamble at the local Casino, enjoy the pristine beaches or simply shop. Wednesday evenings become extraordinary just 20 miles south of Hearthside with a free concert series hosted by the Chamber of Commerce of Boyne City. Nearby Cecil Bay features one mile of pristine beaches, boardwalk and 800 acres of wilderness. For lighthouse lovers, must-see McGulpin Point Lighthouse is just a 20 minute drive. And, Charlevoix, Michigan, just 25 miles west of Petoskey, houses Castle Farms, home to a captivating and impressive outdoor model railroad. 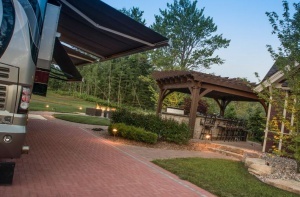 If you don’t want to venture out, there’s plenty to do Hearthside Grove. With a full gourmet kitchen with theater-style seating, professional cooking lessons have never been so fun. In fact, Hearthside provides interesting events and activities every day of the in season. They also feature a resort-style pool, fully appointed fitness center, full service café, various recreation activities and a dedicated, personable staff. 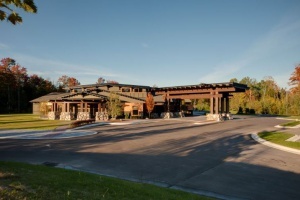 You may have heard by now that the Marathon Club is hosting a pre-rally at Hearthside Grove the week of Sept. 8 on their way to Québec City, Canada. If you own a Marathon but have yet to join the club, we encourage you to mingle with some of the members or talk to the Club’s office administrator, Deb Johnson, about the club benefits. 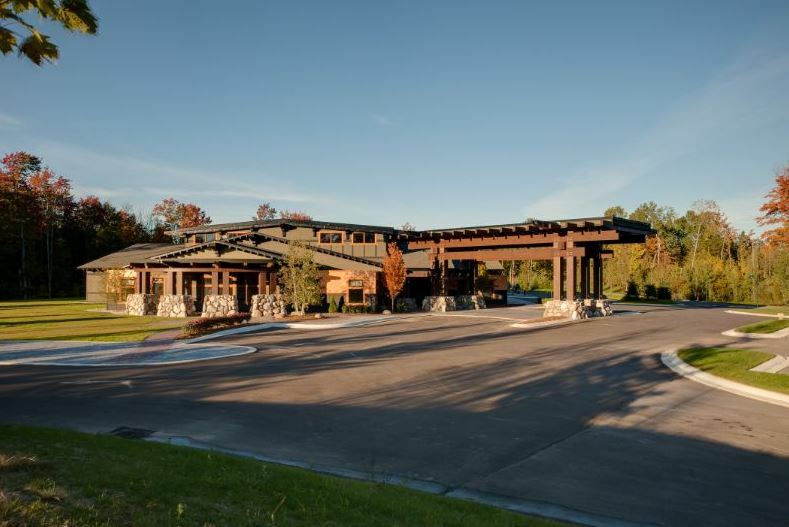 As a club member you’ll not only enjoy some serious discounts at any of our three service facilities across the U.S., but you’ll also be invited to attend exclusive rallies at the finest resort locations across the U.S. and beyond. Traveling with peers, developing lasting friendships and participating in memorable events and activities is what the Marathon club is all about. For club news and rally information, see our online magazine here at www.themaratime.com.